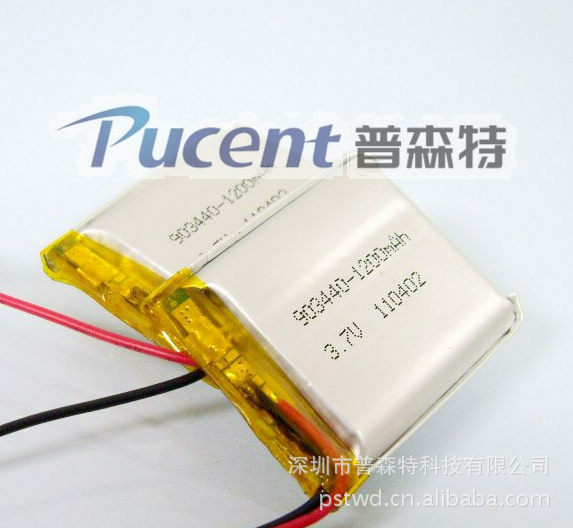 Our production of environmentally friendly soft pack battery 1200mAhLithium polymer battery903440,1200 MAH polymer battery lithium polymer battery long life lithium batteryWith high capacity, low internal resistance, long life, fast charge and discharge , low self-discharge , and good balance . Use longer, Pu SenteLithium polymer batteryBuilt-inLithium battery protectionMultiple safety device to prevent over charge, over discharge , over current, short circuit reliability , safety performance ; better safety factor , Pu SenteLithium- polymer batteryLead and cadmium do not contain mercury and other harmful substances, in full compliance with environmental requirements, Pu Sente lithium can be combined upon request and needsLithium batteries, Size and shape are also available upon request to supporting productionPolymer lithium batteries. Select Pu Sente-You will have some sort of protection , ease of feeling ! 1Do not store batteries in45These high temperatures or fire, may be able to cause an explosion. 2Do not disassemble battery , not allow the battery to moisture or water. 5Rechargeable lithium battery for the first timeBest to use0.2CStandard charge,Rechargeable lithium batteryAnd dischargeAfter3-5After the cycle times , its internal chemical substance will be active to achieve the best results.